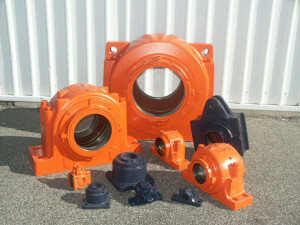 This series is generally a split housing type and are made in a range of various styles. They are generally intended for use with Spherical, Self Aligning Ball and Barrel roller type bearings. Statewide Bearings can supply BHP and RioTinto Sealing specifications for these style of housings in addition we can work with you and your application to provide a solution to contamination issues and unique operating environments that you may be experiencing. Please review our basic housing data. If what you are seeking is not here please contact your local branch.